The FreeStyle 5 portable oxygen concentrator (POC) makes its own oxygen in a compact package up to a 5-setting. 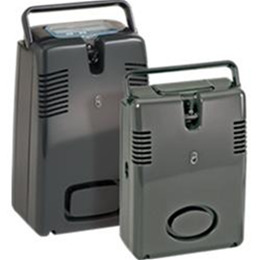 FreeStyle 5 is a full-capacity portable oxygen concentrator that offers 5 pulse setting options. Both POCs utilize a uniquely efficient flexible pulse-flow delivery system, which enables patients to be as active as possible. The internal battery enables up to 3 or 31⁄2 hours of use between recharges. When more time is needed away from an available power source for extended activity, FreeStyle’s optional AirBelt™ is there to provide hours of extended battery duration. AirBelt connects easily to either unit and depending on the setting, can provide up to seven or ten hours of ambulation between recharges. The convertible carrying bag can be worn over the shoulder or as a backpack, and even allows patients to wear the unit at the waist with any standard belt or the optional AirBelt. 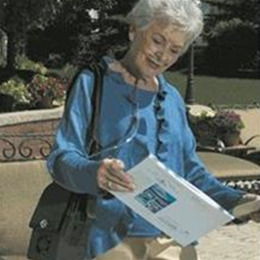 In fact, to maximize ambulation time, FreeStyle can be used as an ensemble consisting of the portable oxygen concentrator, comfortable carrying case, and matching AirBelt. With this unit, oxygen users can now participate in an all-day, outdoor music festival, a sporting event, a continuing education class, or even enjoy the added benefits of the FAA-approved FreeStyle units during extended travel. Operational Temperature: Operating unit outside of this range can affect performance. Altitudes: Higher altitudes may affect performance.